View the February newsletter here. 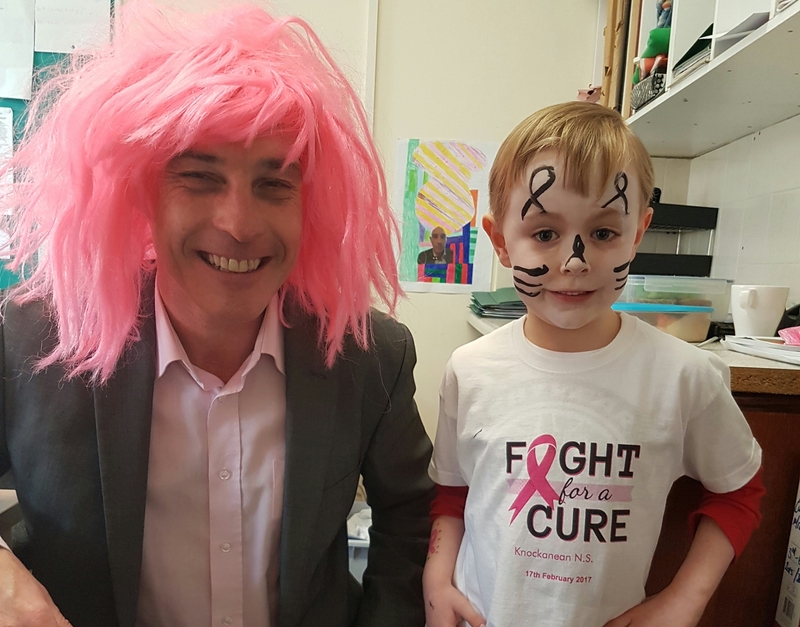 On February 17th, the school was a sea of pink as we all got together to raise money for a worthy cause. Thanks to Aileen for organising it and to all who helped to make it such an enjoyable day. Thank you to all the bakers for their delicious donations! Read more and view some photos here. 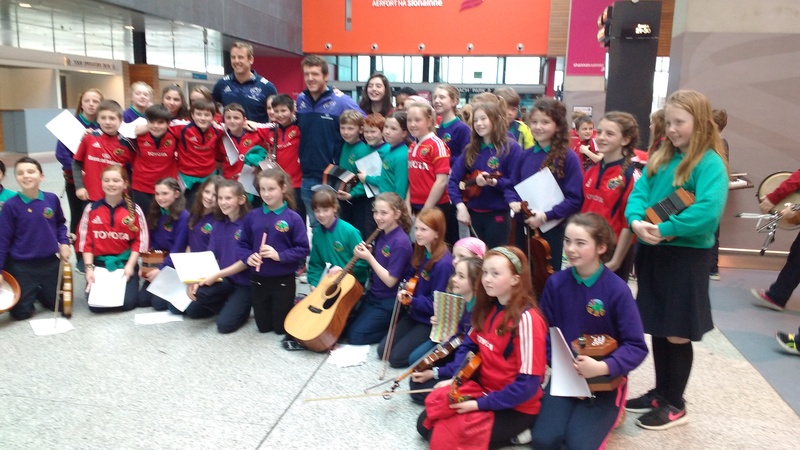 On February 16th, pupils from Fourth, Fifth and Sixth Class, accompanied by Joan McNamara, performed at Shannon Airport. They had a super day. Read more and view some photos here. 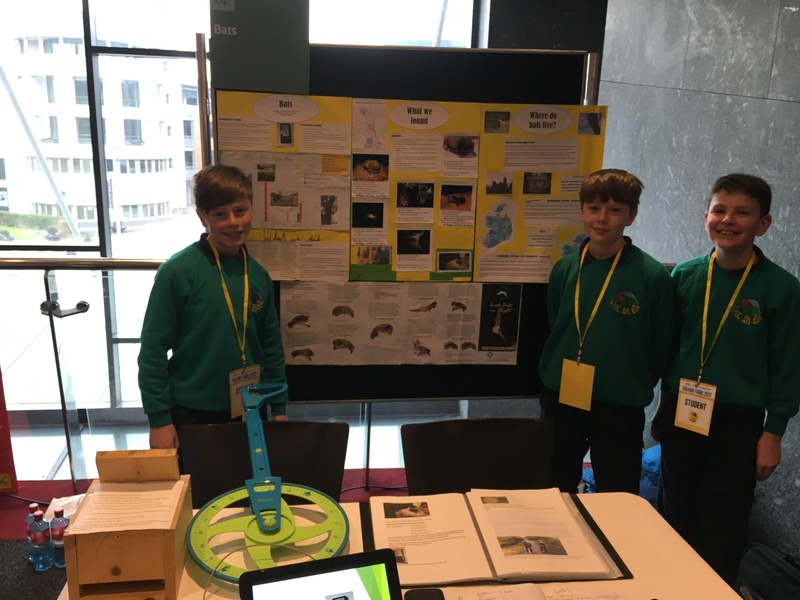 On February 3rd, Fifth Class students Cal, Ben and Creaven travelled to the Helix in Dublin to exhibit their project on bats at the Intel National Mini Scientist Grand Final. The Grand Final brought together the top 24 projects from across the country. Congratulations to the boys on progressing so far in the competition. Read more about the day here.